In A Chinaman’s Chance, Eric Liu pieces together a sense of the Chinese-American identity, considering his own public career in American media and government, his daughter’s efforts to hold and release aspects of her Chinese inheritance, and the still-recent history that made anyone Chinese in America seem foreign and disloyal until proven otherwise. From Jerry Yang to Amy Chua to Jeremy Lin, Chinese-Americans are now arriving at the highest levels of American business, civic life, and culture. What makes this story of immigrant ascent unique is that Chinese-Americans are coming to the fore at the same moment that China has emerged at the center of the global scene. What does it mean to be Chinese-American in this moment? How do the answers to that question alter our notions of just what an American is and will be? In many ways, Chinese-Americans today are exemplars of the American dream: in a century and a half, this community has gone from indentured servitude, second-class status and outright exclusion to economic and social integration and achievement. But this narrative is simplistic and many issues remain: some Chinese-Americans are still left behind; the American dream in general is eroding; a China dream may be emerging. How would other Americans look at their countrymen of Chinese descent if China and America became adversaries? As Chinese-Americans explore what constitutes success, virtue, power, and purpose, they hold a mirror up to their country in a time of flux. In A Chinaman’s Chance, Eric Liu pieces together a sense of the Chinese-American identity in these auspicious years for both countries. He considers his own public career in American media and government, his daughter’s efforts to hold and release aspects of her Chinese inheritance, and the still-recent history that made anyone Chinese in America seem foreign and disloyal until proven otherwise. 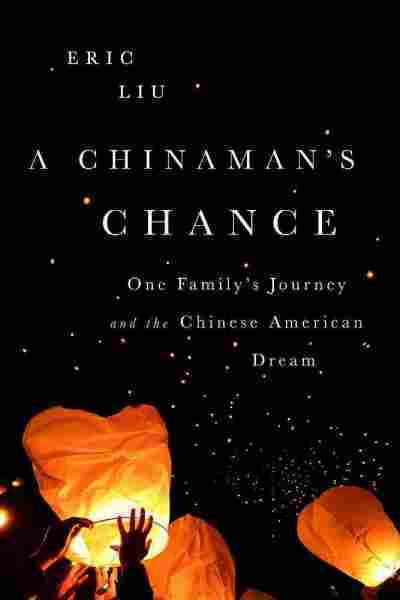 At a National Committee program on Thursday, January 29, Eric Liu will discuss his book A Chinaman’s Chance. Eric Liu is an author, educator, and civic entrepreneur. He is the founder and CEO of Citizen University, which promotes and teaches the art of great citizenship through a portfolio of national programs (www.citizenuniversity.us), and the executive director of the Aspen Institute Citizenship and American Identity Program. His books include the national bestsellers The Gardens of Democracyand The True Patriot, both co-authored with Nick Hanauer; The Accidental Asian, a New York Times Notable Book; Guiding Lights, the Official Book of National Mentoring Month; and Imagination First, co-authored with Scott Noppe-Brandon of the Lincoln Center Institute. Eric served as a speechwriter for President Bill Clinton and later as the President’s deputy domestic policy adviser. After leaving the White House, he was an executive at the digital media company RealNetworks. A graduate of Yale College and Harvard Law School, Eric lives with his family in Seattle, where he teaches civic leadership at the University of Washington, hosts the acclaimed television interview program “Seattle Voices” and serves on numerous nonprofit and civic boards. He is the co-founder of the Washington Alliance for Gun Responsibility. A regular columnist for CNN.com and a correspondent for TheAtlantic.com, Eric may be found on Twitter@ericpliu.